(CBS News) Sir Paul McCartney closed the London 2012 Olympics opening ceremony leading the crowd in a mass sing-a-long of "Hey Jude." 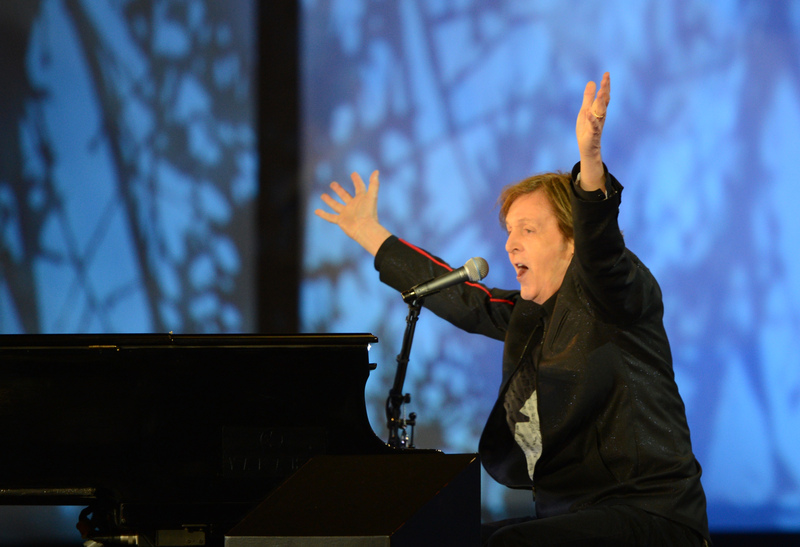 The 70-year-old legendary Beatle opened with the Beatles classic "The End" at the piano. Then he launched into "Hey Jude" while the crowd sang along to every word. It was a spectacular ending to filmmaker Danny Boyle's "Isle of Wonder" opening ceremony that featured a catalogue of British music from the Rolling Stones to British rapper Dizzee Rascal. The ceremony also included special guest appearances from famous Brits including Daniel Craig as James Bond, Rowan Atkinson as Mr. Bean and Queen Elizabeth II.